Download NCERT Solutions for CBSE Class 07 Social Science Tracing Changes Through a Thousand Years Tracing Changes Through a Thousand Years: New and Old Terminologies, Historians and their Sources, New Social and Political Groups, Regions and Empires, Old and New Religions, Historical Periods. Download NCERT Solutions for CBSE Class 07 Social Science New Kings and Kingdoms New Kings and Kingdoms: (a) An outline of political developments c. 700-1200 (b) A case study of the Cholas, including agrarian expansion in the Tamil region. Download NCERT Solutions for CBSE Class 07 Social Science The Delhi Sultans The Delhi Sultans: (a) Outline the development of political institutions, and relationships amongst rulers. (b) Understand strategies of military control and resource mobilisation. (c) Illustrate how travellers’ accounts, court chronicles and historic buildings are used to write history. Download NCERT Solutions for CBSE Class 07 Social Science The Mughal Empire The Mughal Empire: (a) Trace the political history of the 16th and 17th centuries. (b) Understand the impact of an imperial administration at the local and regional levels. (c) Illustrate how the Akbarnama and the Ain-i-Akbari are used to reconstruct history. Download NCERT Solutions for CBSE Class 07 Social Science Rulers and Buildings Rulers and Buildings: (a) Convey a sense of the range of materials, skills and styles used to build: waterworks, places of worship, palaces and havelis, forts, gardens. (b) Understand the engineering and construction skills, artisanal organisation and resources required for building works. (c) Illustrate how contemporary documents, inscriptions, and the actual buildings can beused to reconstruct history. Download NCERT Solutions for CBSE Class 07 Social Science Towns Traders and Crafts persons Towns Traders and Crafts persons: (a) Trace the origins and histories of towns, many of which survive today. (b) Demonstrate the differences between founded towns and those that grow as a result of trade. (c) Illustrate how travellers’ accounts, contemporary maps and official documents are used to reconstruct history. Download NCERT Solutions for CBSE Class 07 Social Science Tribes Nomads and Settled Communities Tribes Nomads and Settled Communities: (a) Convey an idea of long-term social change and movements of people in the subcontinent. (b) Understand political developments in specific regions. (c) Illustrate how anthropological studies, inscriptions and chronicles are used to write history. Download NCERT Solutions for CBSE Class 07 Social Science Devotional Paths to the Divine Devotional Paths to the Divine: (a) Indicate the major religious ideas and practices that began during this period. (b) Understand how Kabir challenged formal religions. (c) Illustrate how traditions preserved in texts and oral traditions are used to reconstruct history. Download NCERT Solutions for CBSE Class 07 Social Science The Making of Regional Cultures The Making of Regional Cultures: (a) Provide a sense of the development of regional cultural forms, including ‘classical’ forms of dance and music. (b) Illustrate how texts in a regional language can be used to reconstruct history. Download NCERT Solutions for CBSE Class 07 Social Science Eighteenth Century Political Formations Eighteenth Century Political Formations: (a) Delineate developments related to the Sikhs, Rajputs, Marathas, later Mughals, Nawabs of Awadh and Bengal, and Nizam of Hyderabad. (b) Understand how the Marathas expanded their area of control. (c) Illustrate how travellers’ accounts and state archives can be used to reconstruct history. Download NCERT Solutions for CBSE Class 07 Social Science Environment Environment: Environment in its totality: natural and human environment. To understand the environment in its totality including various components both natural and human. Download NCERT Solutions for CBSE Class 07 Social Science Natural Vegetation and Wildlife Natural Vegetation and Wildlife online test for class 07 Social Science. These online MCQ tests includes all main concepts of the chapter in CBSE class 07 Social Science. It is very useful for testing the command over the topic and equally useful for various Olympiads. Download NCERT Solutions for CBSE Class 07 Social Science Human Environment Interactions the Tropical and the Subtropical Region Human Environment Interactions the Tropical and the Subtropical Region: To understand the complex inter relationship of human and natural environment; To compare life in one’s own surrounding with life of other environmental settings; To appreciate the cultural differences existing in the world which is an outcome of interaction, between human beings and their environment. Download NCERT Solutions for CBSE Class 07 Social Science Life in the Temperate Grasslands Life in the Temperate Grasslands: To find out the nature of diverse flora and fauna. climate– temperature, pressure, moisture and wind. life in temperate regions – Prairies and Veldt. Download NCERT Solutions for CBSE Class 07 Social Science Equality in Indian Democracy Equality in Indian Democracy (On Equality and Struggles for Equality): understand the importance of the idea of equality and dignity in democracy. Formal Equality. Decision Making mechanisms. Accommodation of differences. Enhancing human dignity. 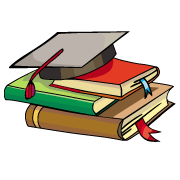 Download NCERT Solutions for CBSE Class 07 Social Science State Government State Government (Role of the Government in Health and How the State Government Works): Main functionaries-broad outline of the role of the Chief minister and the council of ministers. The nature of the role played by the government – regarding resources and services. Factors involved in distribution of resources/services. Access of localities and communities to resources/services. Download NCERT Solutions for CBSE Class 07 Social Science Gender Gender (Growing up as Boys and Girls and Women Change the World): understand that gender is a social construct and not determined by biological difference, learn to interrogate gender constructions in different social and economic contexts, to link everyday practices with the creation of inequality and question it. Download NCERT Solutions for CBSE Class 07 Social Science Media and Advertising Media and Advertising (Understanding Media and Understanding Advertising): understand the role of the media in facilitating interaction between the government and citizens, gain a sense that government is accountable to its citizens, understand the link between information and power, gain a critical sense of the impact of media on people’s lives and choices, appreciate the significance of people’s movements in gaining this right. Download NCERT Solutions for CBSE Class 07 Social Science Markets Markets (Markets Around Us and A Shirt in the Market): understand markets and their relation to everyday life, understand markets and their function to link scattered producers and consumers, gain a sense of inequity in market operations. NCERT 7th class Social Science book solutions are available in PDF format for free download. These ncert book chapter wise questions and answers are very helpful for CBSE board exam. CBSE recommends NCERT books and most of the questions in CBSE exam are asked from NCERT text books. Class 7 Social Science chapter wise NCERT solution for Social Science book for all the chapters can be downloaded from our website and myCBSEguide mobile app for free. This unit will focus on the historical as well as the key elements that structure a democracy. The structures in place to make people’s representation a reality will be discussed with reference to its actual functioning. What were some of the key junctures and transformations in the emergence of democracy in modern societies? – The different systems of power that exist in the world today. This unit will focus on the legislative, executive and administrative aspects of state government. It will discuss processes involved in choosing MLAs, passing a bill and discuss how state governments function through taking up one issue. This unit might also contain a section on the nation-state. • The nature of the role played by the government – regarding resources and services. • Factors involved in distribution of resources/ services. • Access of localities and communities to resources/ services. In this unit the various aspects of the role of a media in a democracy will be highlighted. This unit will also include a discussion on advertising as well as on the right to information bill. • providing forum for discussion/debate creating public opinion. Relationship between Government and Information A case-study of the popular struggle that brought about the enactment of this legislation. This unit is to understand the role gender plays in ordering our social and economic lives. • understanding Inequality: The role of gender in creating unequal and hierarchical relations in society. • the invisibilisation of women’s labour. This unit is focused on discussing various types of markets, how people access these and to examine the workings of an actual market. • People’s access to markets depends upon many factors such as availability, convenience, credit, quality, price, income cycle etc. Examine the role of an observable wholesale market such as grain, fruit, or vegetable to understand the chain of activities, the role of intermediaries and its impact on farmer -producers. Here is the list of topics covered under each chapter of class 7 Social Science NCERT text book. 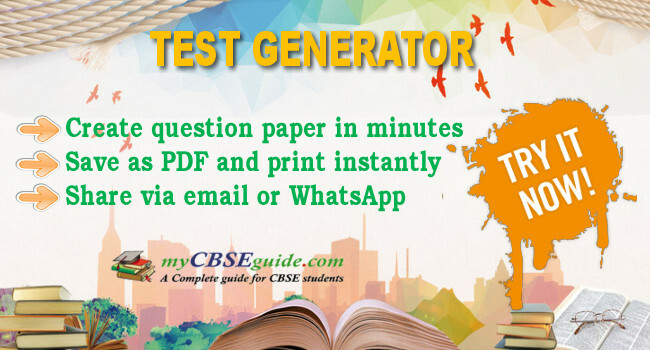 NCERT Solutions Class 7 Social Science PDF (Download) Free from myCBSEguide app and myCBSEguide website. 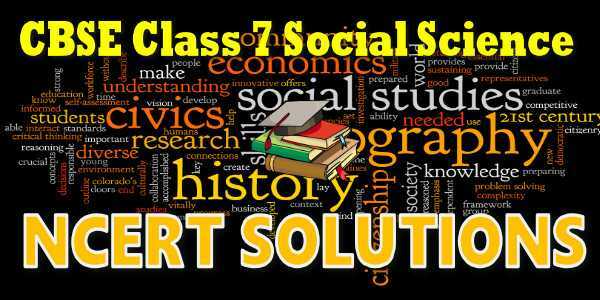 Ncert solution class 7 Social Science includes text book solutions. NCERT Solutions for CBSE Class 7 Social Science have total 29 chapters. Class 7 Social Science ncert Solutions in pdf for free Download are given in this website. Ncert Social Science class 7 solutions PDF and Social Science ncert class 7 PDF solutions with latest modifications and as per the latest CBSE syllabus are only available in myCBSEguide.